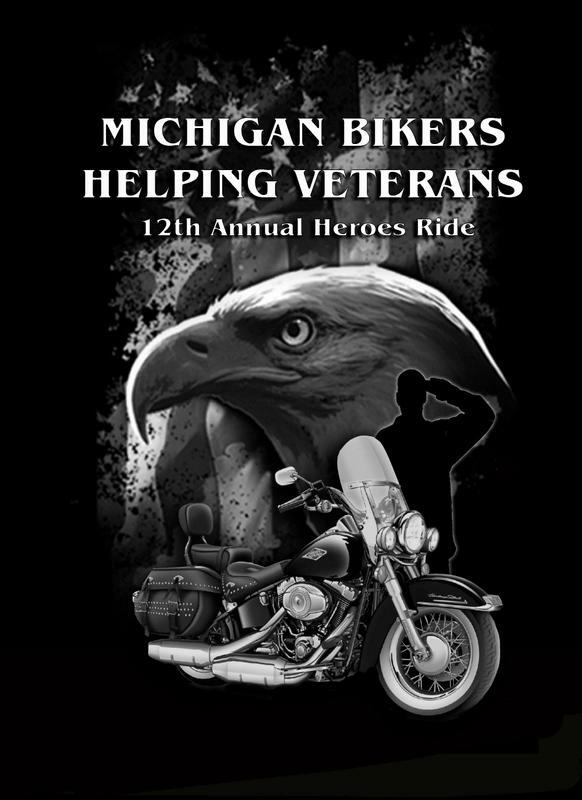 A 4 DAY RIDE TO RAISE MONEY TO HELP OUR MICHIGAN HEROES! 2019 HEROES RIDE ROUTE AND ROOM INFO!! 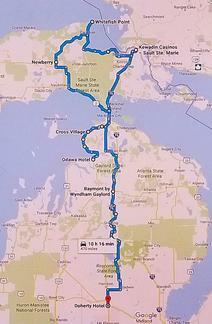 4 days of a fully escorted Northern Michigan back roads ride to include upper lower and the U.P. seeing Petoskey, Tunnel of Trees, Cross Village, Mackinaw City, Saulte Ste Marie, Soo Locks, Whitefish Point, Tahquamenon Falls State Park, Newberry, Saint Ignace, Indian River, Cross in the Woods, Gaylord, Big Buck Brewery, Hartwick Pines State Park, Clare Michigan, Doherty Hotel. We do the planning for all fuel, food, rest areas, hotels, you just sit back and RIDE! Fully planned and pre-ridden 2019 Heroes Ride will begin in Petoskey in the parking lot of the Odawa Casino HOTEL. We will have our safety briefing and explanation of the trip at 0900 sharp!! Many of us will be staying at the Odawa Hotel the night before to participate in the Meet & Greet and wake up at the starting point. Please feel free to make your reservations at the hotels listed below. All hotels have reserved a block of rooms for us but when they are gone....you are on your own. The room block (Michigan Bikers Helping Veterans 07239) is now open for reservations. in order to receive the room block rate. This rate is based upon the room block availability. Any questions you can email me.